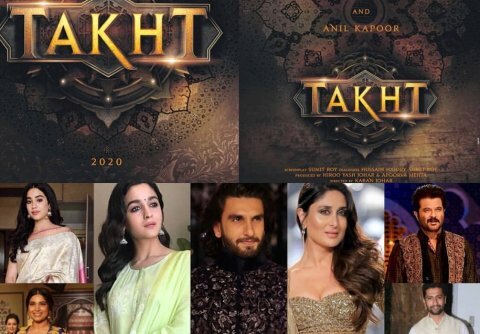 Filmmaker Karan Johar’s upcoming historical starring Ranveer Singh, Kareena Kapoor Khan, Alia Bhatt and Anil Kapoor has been titled “Takht”. The multi-starrer film also features Bhumi Pednekar, Vicky Kaushal and late veteran actress Sridevi’s daughter Janhvi Kapoor. Karan on Thursday tweeted: “I am so excited and honoured to announce the lead cast of ‘Takht’ Ranveer Singh, Kareena Kapoor Khan, Alia Bhatt, Vicky Kaushal, Bhumi Pednekar, Janhvi Kapoor, Anil Kapoor. Ranveer, who has previously starred in historicals like “Bajirao Mastani” and “Padmaavat”, says he is “Proud, excited and honoured to be a part of Karan Johar’s multi-starrer historical magnum opus”. © 2019 - Odisha News Insight. All Rights Reserved.